Tantra massage for the man is healing for the body and soul. First video sets foundation for this deep healing work. We want to have our clients empowered. Authority of this work is in this link. You will be inspired to have different conversations about tantra massage for the man once you have listened to this video and followed through with the link. Before you get into this page, ask yourself; Do I really want the truth or do I prefer to remain ignorant of truth. Almost all spirituality is designed to keep you from the truth. When you are empowered; you do not need low level so called spiritual teachers. You need ones you can rely on to be with you. 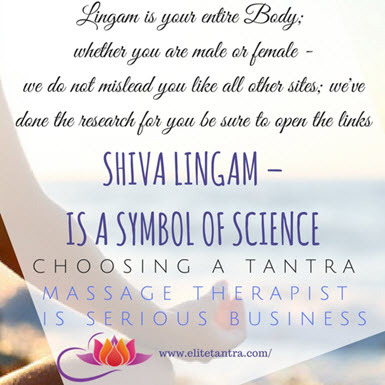 Our Tantra massage for the man is designed to awaken the energies that sustain you for your entire life. Every are of life depends on real truth. Man has become impotent through lack of knowledge. We can not overstate this enough. Man has been abused and misused as much as women have. The media has divided us into opposing parties. We are designed to be complementary. For millions of years authorities have continued to mislead couples. Because when couples are truly bonded; they cannot be fooled by outside forces. We want you to be a power couple. If you are single, help you cultivate the right relationship right from the beginning. But first let’s get you right. We also work with some of the most complex situations in life to rejuvenate your body systems through ancient techniques. connect with your flow so you can feel your partners flow. Our appointment begins by supporting you in actually feeling your multiple streams of consciousness that physically affect all your relationships. Your physical streams of consciousness are as basic as understanding how to find programs in your computer, or apps on your phone. If you do not know these feelings are there, you will not look. These feelings are always there. Just because you’re not aware of them doesn’t mean they are not affecting you. Becoming conscious being is foundation for being an amazing companion, business man and family man. You are all of those all the time. Not just turning up a part of you and parking the rest of you somewhere else. Doing it that way that is hard work. This video to depths of understanding Tantra as a whole. Whether it’s men of women the issues are similar. It’s about seeking happiness. This is not a one size fits all approach that you find in all other tantra sites. For this reason here are many stories. Stories define the outcomes not techniques. This is assuming that you are genuinely seeking to heal not just be entertained by someone teaching you rituals that have no basis for genuine relationships. During this session you will be guided to feel and acknowledge the messages within your body. The greatest challenge in relationships is communication. Because of our upbringing we’re conditioned to be separate. Conditioned to just do as we are told from an outside source. In this video a client shares his realisation after receiving eternal flame initiation. How he clearly see the quality of all his past relationships. Bringing loving relationships into your life. Loving relationships are about being totally present. Begin by identifying when you are connected and when you are disconnected. In my experience, men have been forgotten. Your balanced healthy emotional state is your loving state. The pressure to be strong. Expectations of being the all knowing just becomes too much. If you are this man regardless of your position in society, you are looking for gentle yet powerful support that lasts. Your life is your personal branding. How you walk, talk, eat, breathe are representation of how you feel about yourself. How you feel about your place in the world. Here you get clear on how you are representing yourself. Get the tools that empower you to live life on your terms. Have clear definable support. Tantra massage for the man is dedicated to identify your personal normal. When you hear these recording you’ll discover new levels of connections that until now you would have considered impossible. Tantra massage for the man brings balance by healing your center. 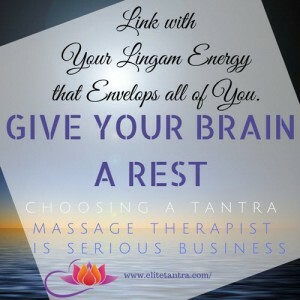 Main focus of this Tantra massage for the man, is to connect you to your earth energy. That is your tender energy. Tender energy is your soul energy. Soul energy is foundation of trust in purpose of this life time. More trust comes to meet the trust. Your Tantra massage for the man merges you with your tender energies. This takes the edge of harshness of stress. Tantra massage for the man brings the earth energies. It grounds you so your brain can take a break. The secret technique to connecting to the pure consciousness that connects you to trust in relation to where you are. Learn to define your foundation of safety. I’ll have you connect to specific techniques that connect you to you. The power of how you connect takes you beyond feeling like an actor or performer. Connection takes you to awakening the dormant energies that open the pathways to self identification. These techniques are designed to help you recognise the messages within the techniques. A technique alone is sterile. Any technique needs to connect with the spirit of the movement of the technique. Technique in it’s deepest sense is an action. Any action has it’s own frequency. This frequency is what you need to be aware of. Like a surfer who finally has connected with the energy of the ocean no longer needs a technique. The surfer moves automatically into position as he becomes one with the wave he is riding. He cannot have resistance. He/she rides the wave and the elements beneath it that are part of the ocean. This is the reason that the surfer continues to surf and surf and surf. Because of the feeling of merging of non resistance. Every moment is about connection feeling and alignment with the ocean. It is the principals of connection or flow that takes us to ease of serenity. All without force or strain. From the new experiences new expressions of movement and focus are born. Self awareness is your path beyond techniques. Tantra massage for the man activates your center of connection. That’s the secret to knowing which technique works best for both of you. The key to Tantra massage for the man is to feel expansion into new levels of awareness. In this level you begin to consciously participate in exploring unseen feelings. In the unseen are streams of different vibrations that are available to you. Each CLIENT EXPERIENCE is DIFFERENT. What they feel, you can feel, but your way. 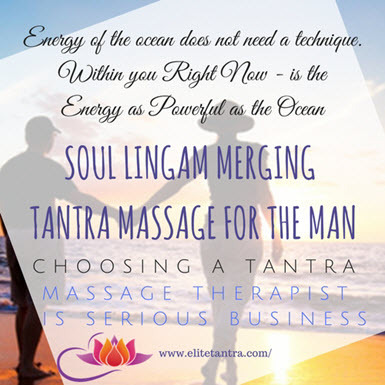 Tantra massage for the man takes you on a journey – an adventure within you. For some inability to climax or going too long that is frustrating and painful to their partner. Did you know over 75% of men are premature or have erectile issues. The solutions is usually very simple. Simple when you know the source. Here we identify the source while combining it with solution.